NOTICE: The contents of JAOPCAAdditions 1.x.x has been merged into the main mod as of JAOPCA 2.x.0.33. Items from this mod will be safely transferred. JAOPCAAdditions is a mod that aims to add additions and decorative blocks for ores. Inspired by many other mods. Do you still plan to add support for slabs and stairs, it's a feature which really misses. 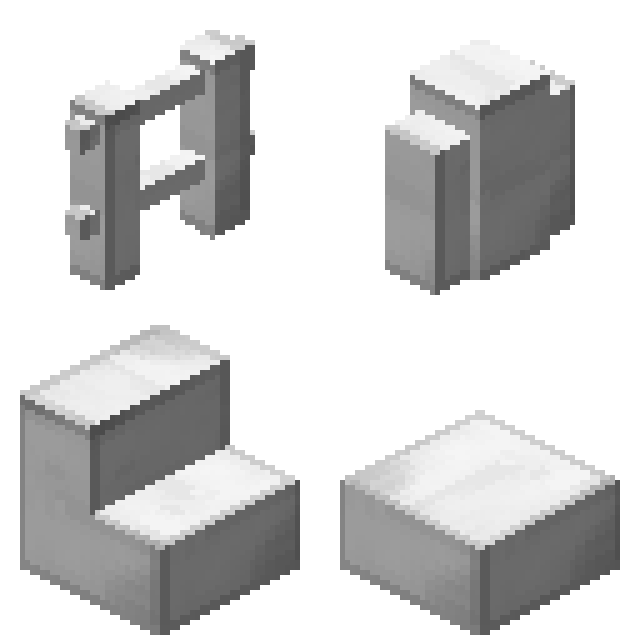 Could you add Sheetmetal Blocks (like Immersive Engineering) for other metals like Osmium from Mekanism? Did you even read it at all? It would be really cool to either as part of this segment, the main mod, or even as a new fifth segment, dynamically generate bonus tool types for certain mods. For example, if used alongside dungeontactics, have it generate a hammer and dagger for every metal that has a sword, or if used alongside ex nihilo, generate hammers from every material with a pickaxe. If you're feeling really masochistic, maybe shields for all material types, or Aether II gloves. I like this idea, but I feel like this feature does not belong in JAOPCAAdditions, because for one, nobody registers tools in oredict and two, if I added this, I would be running through all the tool types registered, which is a different story from normal blocks and items, and it does not fit the idea of JAOPCA. Also, many registered tool names have all kinds of prefixes to prevent name duplication. I may revisit this idea in the future, if someone has a complete idea of how to add new types of tools.